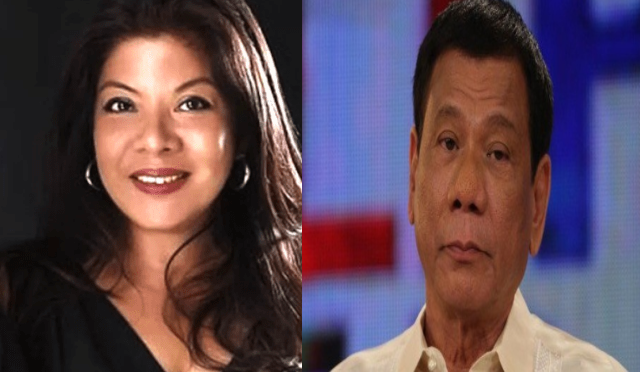 Presidential Communications and Operations Office Undersecretary Lorraine Marie Badoy in her Facebook page said that President Rodrigo Duterte is a national treasure. She said that Duterte has arrived at a time in the country's history when the people are going through a time of corruption and heartless indifference, where the cries of the people are no longer heard by those who sat in power. Badoy said that Dutere brings to the table decades of experience as an excellent public servant. "Humble, simple, sincere, brave, effective, incorruptible, and someone who really and truly loves his country and the people of the Philippines," she said. Badoy said that Duterte will fight, defend and protect the people from the country's enemies. Defining the enemies she mentioned, she said that these are those who have abused, raped and pillaged the country, and who will stop at nothing to destroy him. "Because if they destroy him then they take away someone who comes between us and them, and without him, that abuse will, once again, repeat itself. Over and over and over," she said. The Usec added that the people should exert efforts to protect and defend the president from his opposition the way he’s gone between us and our oppressors over and over. "We are his Strength, his Power, his Defense. He is our Strength, our Power, our Defense. Together we can rebuild our country and make it all that we want it to be.The country that we are meant to be is calling to us.He hears it. And by the force of his vision and his faith in that vision, he has made us hear it too," she said. "Let us not waste one more second in worthless battles. This man is not with us for an indefinite period. Let us hold on to each other’s hands and let us surround him. And let us move our country upward and onward. Pilipinas LABAN!," she added. After Duterte got into power, Badoy who was one of his most vocal supporters in social media, was appointed as Assistant Secretary of the Department of Social Welfare and Development. On October 19, 2017, she was named PCCO Undersecretary for new media as well as its spokesperson. "And one more thing before I hie off to the beach and unplug. This man is our National Treasure. And someone who really and truly loves his country and the people of the Philippines..
And without him, that abuse will, once again, repeat itself. Over and over and over. We must protect him and defend him. And we must hold him close to our hearts. So when we stand before those who’d like to harm him, we will get between them—the way he’s gone between us and our oppressors over and over. We are his Strength, his Power, his Defense. He is our Strength, our Power, our Defense. Together we can rebuild our country and make it all that we want it to be. The country that we are meant to be is calling to us. He hears it. And by the force of his vision and his faith in that vision, he has made us hear it too. Let us not waste one more second in worthless battles. This man is not with us for an indefinite period. Let us hold on to each other’s hands and let us surround him. And let us move our country upward and onward.